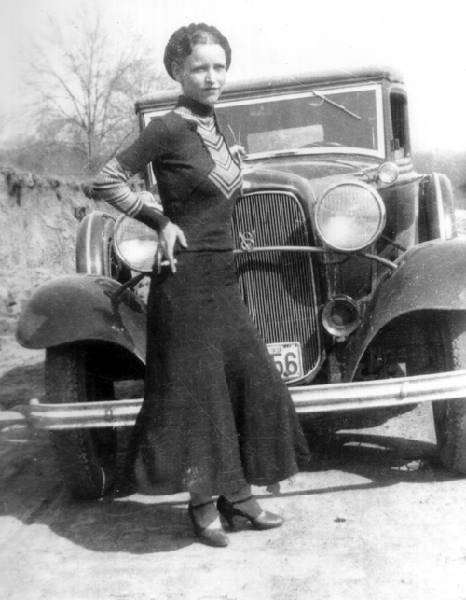 What happened to Bonnie and Clyde’s car? In March 1934 a roofing contractor from Kansas was looking for a new car. Jesse Warren chose a Ford V-8 and he paid $785 for it. Jesse had only been the proud owner of the car for a few weeks when it was stolen – by the notorious outlaws, Bonnie Parker and Clyde Barrow. Bonnie and Clyde only enjoyed the car for a few weeks because on May 23rd they were ambushed by the police in Gibsland, Louisiana. The lawmen did not give the couple the opportunity to surrender but riddled the car – and its occupants – with bullets. What happened to the car afterwards? Well, it was returned to Jesse Warren, its rightful owner. And Jesse was smart – he knew that the shooting of Bonnie and Clyde had been the biggest news story of the day and he owned the very car, bullet holes and all. He knew that the public would pay to see this gruesome sight. It was easy. All he had to do was lease the be-holed car to various travelling shows and it was easy money for everyone involved. 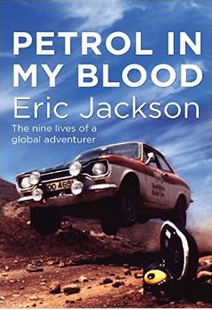 Of course, other people saw the success of showing the car and at least five of them bought their own V-8s, took them to remote country areas, riddled them with bullets and displayed the results as the actual ambushed car. But Jesse Warren was happy – he made plenty of money. But after some years, public interest had died down and Jesse put the car into storage. Ted was a showman. He located the car and wanted it to use to promote a gangster film. Jesse Warren made even more money – the car he originally bought for $785 he sold to Toddy for $14,500. If course, the fakers came out of the woodwork again but this time, Toddy was in a mood to put up with any nonsense, especially when the film Bonnie and Clyde was released in 1967. Toddy started to initiate proceedings against any fake cars that came to his attention. But they were hard to catch as they normally were in travelling shows that moved from place to place. By the late 1970s, it was estimated that the real Bonnie and Clyde death car had made over a million dollars. The chances are that the fakes had made a good-sized sum too. Yet the largest sum Bonnie and Clyde made from a single robbery was $3,500. It’s unlikely that during their entire criminal career they had made more than $20,000. Over the years, the car has moved from place to place being exhibited. It has probably made much more than a paltry million since. The car is now at Whiskey Pete’s Casino in Primm, Nevada. See the video below.